Once the operation center for the Boston Cab Association, a 2.16 acre Fenway building is soon to house 443 new residences. The project, located at Kilmarnock and Queensbury streets in Boston's Fenway neighborhood, will be split between two eight-story buildings and include 37 affordable units, ground-floor retail and 250 parking spaces. "It was the 24-7 operation for several hundred taxis," developer Jay Doherty told the board. "Its passing is not necessarily mourned by the neighborhood. This was a very difficult acquisition made probably a little bit more difficult by the fact that its seller was a convicted federal felon in jail and also financially fragile because of decline in value of taxi cab medallions". "Taxi king" Edward J. Tutunjian was sentenced in December 2016 to 18 months in a halfway house for tax evasion, employing illegal immigrants and failing to pay overtime wages. 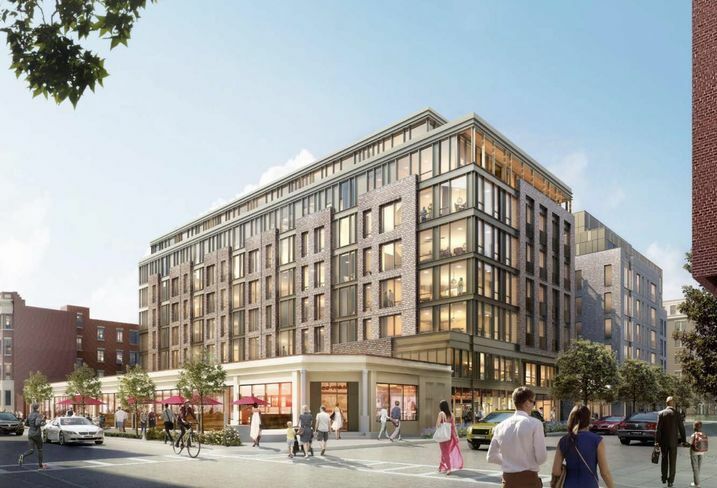 The Boston Planning & Development Agency approved developers' plans this week, hailing it as a "positive addition to the Fenway neighborhood". The site was sold in 2017 for $51 million to developers Cabot, Cabot & Forbes and CIM Group. The project falls in line with Boston Mayor Martin J. Walsh's plan to create 69,000 new residential units by 2030.